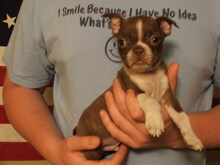 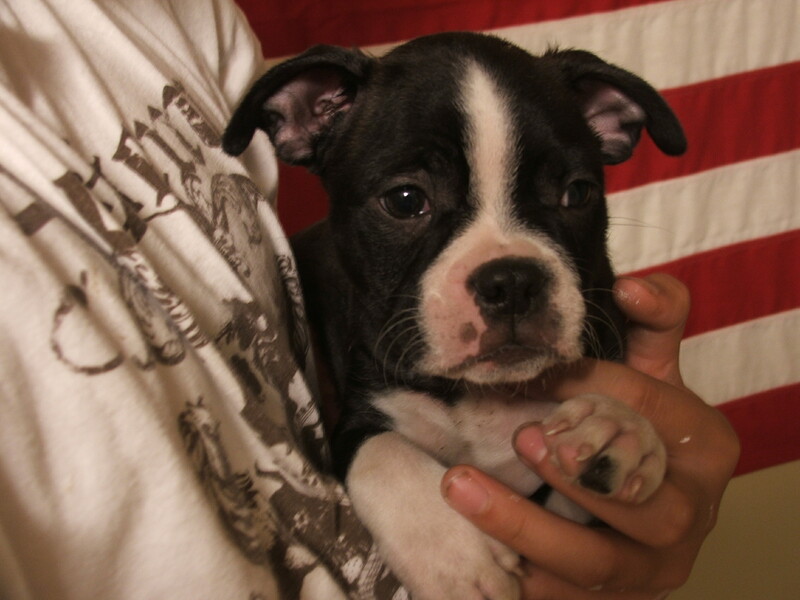 We now have one male Boston Terrier Pup left to sell. We are asking $750 for him. 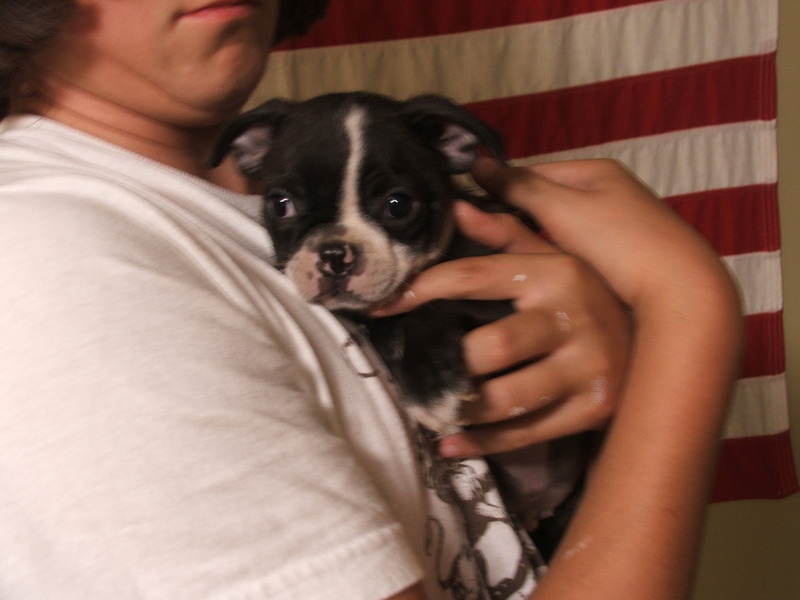 This litter was very well solialized and the last remaining pup is now getting spoiled. The one remaining male is the first one pictured.